My dad’s OO gauge model railway collection might seem an odd starting point for a car review but bear with me. You see, his collection of miniature locomotives was dominated by replica steam engines from the halcyon days of a pre-British Rail era, in his case populated by LMS and LNER machinery. Except there was one more modern diversion, in 1962 BR two-tone green. A Class 55, commonly known as Deltic after its Napier-built powerplant. He was particularly fond of its bulbous shape; I was convinced the engine itself lived under the ‘bonnet’ in front of the cab. But there was something else about the Deltic that was a source of confusion as to why the car industry was late to the party. This was a hybrid after all but one powered by a diesel, rather than a petrol engine. Car manufacturers that ploughed the hybrid furrow eschewed diesels for their combined propulsion configurations, citing a diesel motor’s lack of refinement compared to a petrol equivalent, despite theoretically higher fuel consumption figures. Over a decade after the debut of marketable hybrid cars, the Peugeot-Citroën combine is the first firm to productionise a diesel-engined version, mating its 163bhp common rail unit with an electric motor. Does the popular and respected 508 SW become even more desirable as a result of its metamorphosis into the RXH HYbrid4? 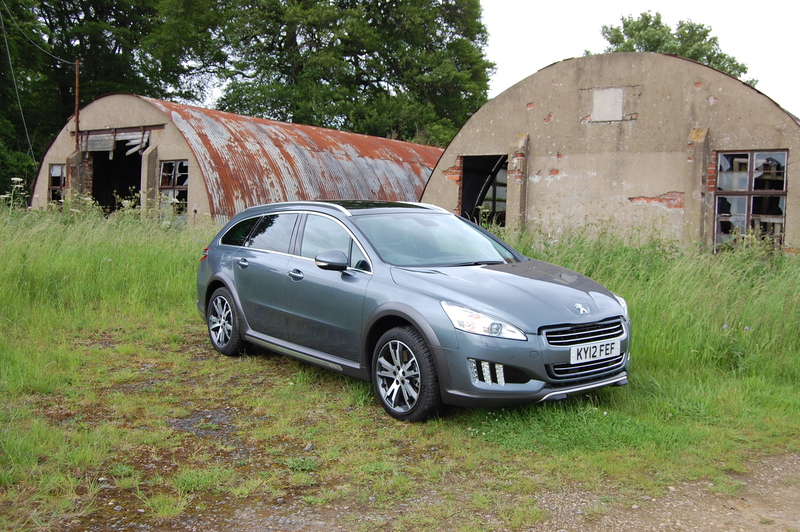 It looks more rugged than the regular Peugeot 508 SW – is the RXH an off-roader? Soft-roader, or crossover, more accurately describes what the RXH is. Yes, it has four-wheel drive, rugged looks and a raised ride height but its better suited to rutted roads than attempts to cross chasms. That said, the 508 looks good in RXH guise, the transition to SUVhood being a visually successful one. The higher stance, liberal sprinkling of unpainted plastic body mouldings, satin-finished brightwork and a unique nose design with three vertical bands of day running lights ensure it hints at an alter ego without being over-done. The nose’s shape previously reminded me of the head of Ridley Scott’s eponymous Alien from the film series but in RXH format it’s even more uncanny, with a more pronounced body coloured grille. In the Thorium Grey finish of the test car, that apparent other worldliness is only reinforced. Lookswise, the Peugeot is straight into Audi A4/A6 allroad and Volvo XC70 territory, recently joined by Volkswagen’s Passat Alltrack and doesn’t look out of place in that company either. The elegant silhouette and attractive detailing give the 508 a softer, less workmanlike appearance, which should win over hitherto unconvinced buyers. Has much changed from the regular 508’s interior in making the RXH? Unsurprisingly the interior feels very much like other 508s save for some detailing changes, which essentially is good news as fine build quality and high order materials abound. 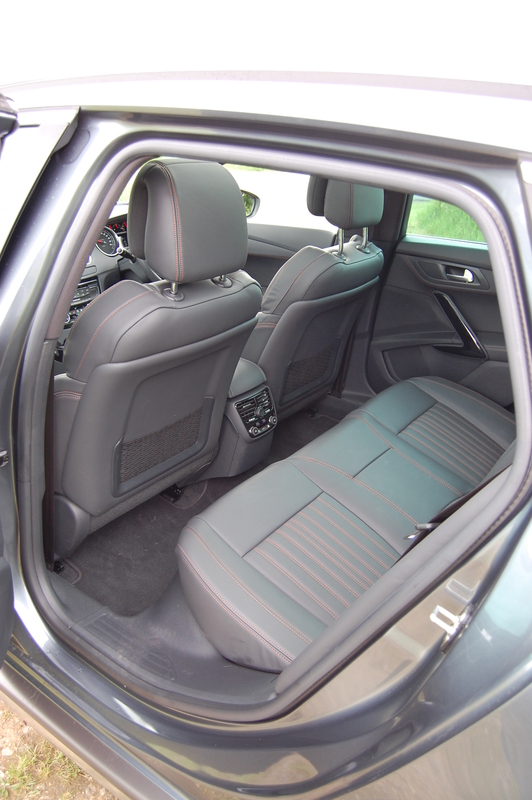 The 508 is a car with executive class aspirations which means high quality, squidgable plastics dominate the interior and equipment levels are high too, the RXH being a one-model line. All the dials and switchgear work precisely with an expensive feel; this model also features a colour LCD panel between the speedo and rev counter to monitor hybrid efficiencies. Buyers expecting a full complement of toys won’t be disappointed with all round electrics, automatic lights and wipers, cruise control, full-colour satnav (although still no postcode search function), premium stereo and 18” alloys as headline acts. Together they combine to make you feel less aggrieved at spending close to £34,000 on a Peugeot. 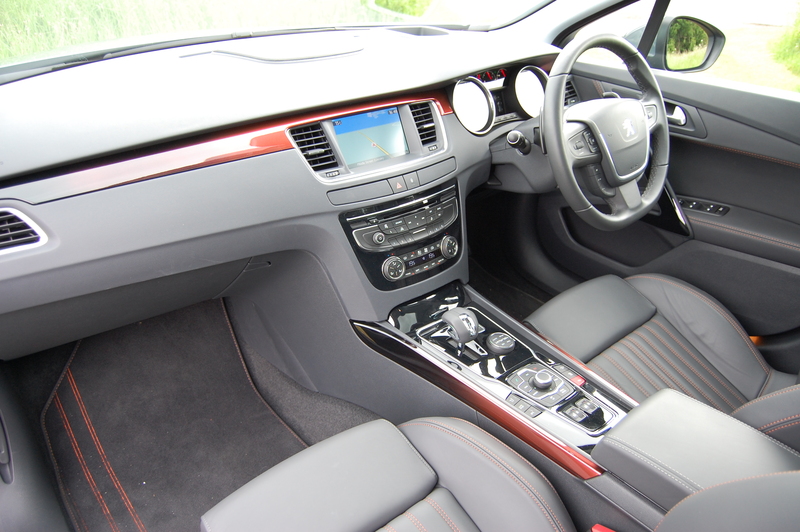 Some may feel the interior styling a little sober but in RXH trim Peugeot has livened things up with contrasting appliqué panels that switch from dark grey to deep orange (more successful than it sounds) and a similarly zesty hue for the seat stitching. Cabin space is generous enough for five adults to sit in comfort on long journeys, with plenty of room for limbs and heads. An enormous glazed roof ensures the interior feels light and airy too, heightening that sense of space. Only the boot shows any impact from the HYbrid4 system, some 90 litres down in capacity over the standard SW model still useable and flexible enough for most families’ needs. The culprit is the battery pack laying under the boot floor, storing energy to be released through the electric motors to the rear wheels. 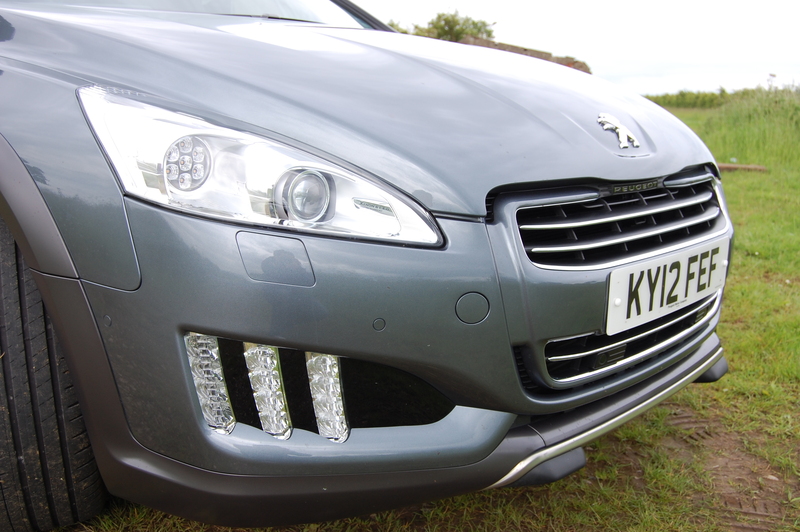 Is the Peugeot 508 RXH’s HYbrid4 system easy to use? The most obvious change over lesser 508s is where the gearlever would ordinarily be. In the RXH its place has been usurped by a stubby little slider and a rotary dial, both having a direct effect on the powertrain. 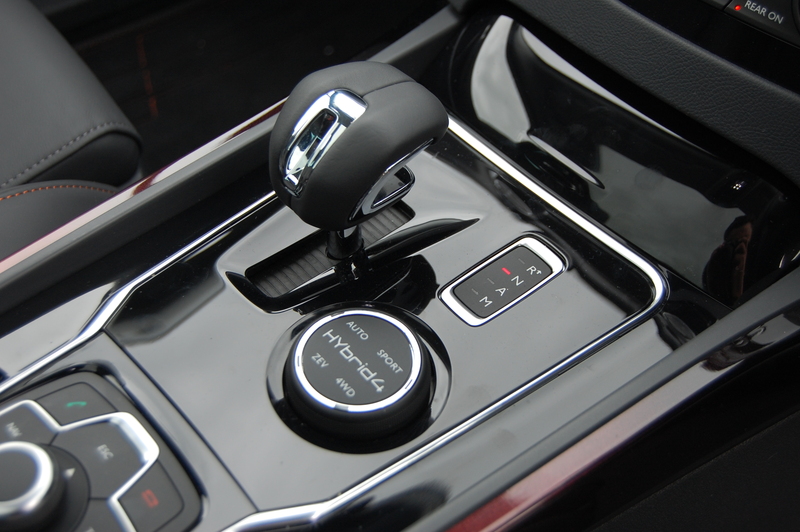 Whilst it looks like an automatic selector, the short lever is connected to an electronically controlled manual gearbox. It looks cute and is pleasing to hold but the gearbox itself is arguably the RXH’s biggest downfall. All too often the gearbox is tricked by a dab of the throttle. You might simply want to increase your speed a little but the electronics over-anticipate your intentions and after an awkward pause, it drops one of its six ratios, surging you forwards before realising that you’re cruising again and the previous gear is re-selected. Driving it as a sequential manual can override this but that delay between cogs is still present, somewhat spoiling progress. Most will keep it in automatic mode but just get used to revs rising audibly like a poorly sorted CVT box. It’s a pity because the regular six-speed manual is fine to use and there are some great fully automatic gearboxes on the market too, both of which would be more suited than the ECG unit which is the only option available. Adjacent to it is the rotary dial for selecting the different HYbrid4 driving modes. Each selection is indicated by a red LED and accompanying graphics on the instrument panel LCD. Auto: where the RXH will spend most of its time, the car selecting the best combination of power delivery at any given moment, whether its diesel only to the front wheels, electric only (37bhp worth fact fiends) to the rear or a combination to all four. The graphic also displays harvested energy being used to replenish the batteries. Sport: more impressive power through faster throttle response delivers brisk performance, again using diesel and electric power as it sees fit. The Peugeot performs noticeably better in this mode but to the detriment of fuel economy. 4WD: is unsurprisingly all four wheels delivering power all of the time. This is the one to go for to maximise grip from the Michelins, particularly when venturing to do some light off-roading or where road surfaces are becoming more slippery. ZEV: again, you don’t need to be a MENSA member to appreciate this puts the RXH in electric-only mode, in which it will remain until the battery power is sapped and 2.0-litre engine thrums back into life. The EV range is limited as the HYbrid4 system isn’t particularly designed to be used in this manner, it’s more a by-product of the system. However, I managed a two mile journey to work on one of the mornings, without the engine cranking over once. How does the Peugeot 508 RXH feel on the road? You’d imagine that this confluence of diesel and electric power would produce an estate with a negligible thirst. Certainly the claimed average figure of 68.9mpg on the combined cycle reinforces this view and significantly bests the non-hybrid HDi 163 (with a conventional automatic gearbox) figure of 49.6mpg. Real world experience though had the RXH hovering around the 50mpg mark though, a considerable distance short of the official claim. Driving in Sport mode to maximise the performance potential of the RXH’s combined 200bhp certainly impacted on the average figure I managed but that aside it’s difficult to see where the fuel saving occurs. Benefits to the system include one of the best stop-start functions available, the 508 RXH doing all it can to cut the engine off below speeds of 15mph in order to fuel save. When you dab the throttle to move off again, the diesel rattle is only just perceptible and delivers its power seamlessly, without any jerk aside from the clunky gearbox. The HYbrid4 system also provides significant benefits, particular for company car users and private car buyers alike, emitting just 107g/km of CO2 ensuring the big Peugeot is in band B for VED. With up to 200bhp on tap the large Peugeot doesn’t feel sluggish but due to the weight of those batteries over the rear axle, it’s hardly a pace setter either. What it will do is get to motorway speeds rapidly and cruise effortlessly and quietly and getting up to 30mph in urban thoroughfares is a brisk experience too. 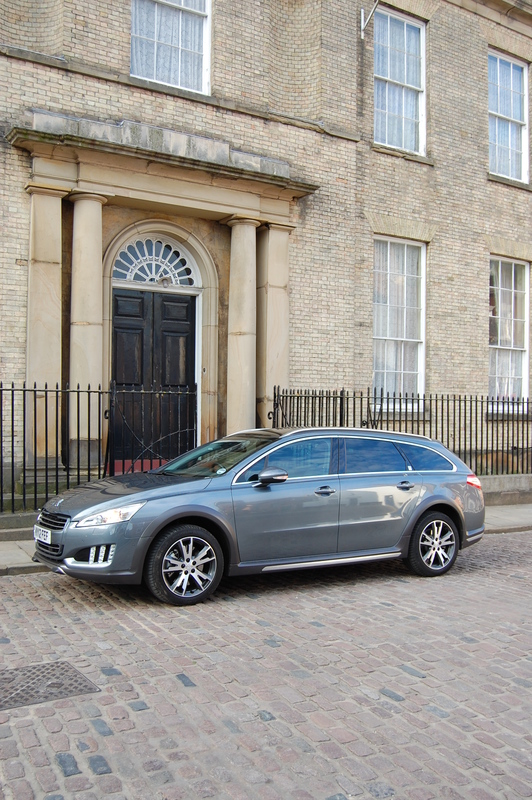 The Peugeot 508 RXH looks classy but will buyers baulk at the close to £34,000 price tag? Like lower grade 508s, the RXH is a fine handler, with grip only increased by virtue of those four driven wheels. The result is when pushed harder around B-road bends that ultimate breakaway into understeer is further away, the wheel itself still providing a level of communication to satisfy many enthusiastic drivers. Disappointingly the RXH’s ride suffers, the additional battery weight, combined with the ride height increase, spoils the composed and unruffled nature of regular the SW models. The primary ride absorbs bumps well, with only the deepest of ruts inducing a crashy ride from the suspension but the secondary quality, dealing with smaller surface ripples, feels poorly sorted and transmitting far too many vibrations through to the cabin. Car buyers are a savvy crowd but Peugeot’s going to have to be careful in order to prevent confusion, for all the 508 RXH HYbrid4 is a car of many qualities, none of them define exactly what the car is supposed to be. Its crossover looks suggest some level of off-roading ability but will rear wheels delivering 37bhp get the RXH out of a sticky situation if the front wheels were gripless? The opportunity to try whilst on test didn’t arise but you’d be forgiven for assuming a more conventional four wheel drive powertrain would be more capable. 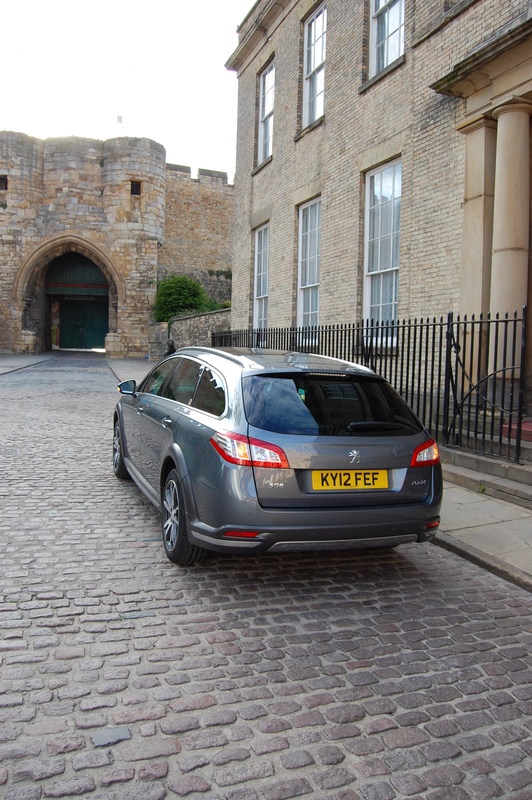 RXH’s executive pretentions deliver a well equipped, soundly built and spacious estate with room for five and their luggage in tasteful comfort but is the marketplace ready for a £34,000 Peugeot? 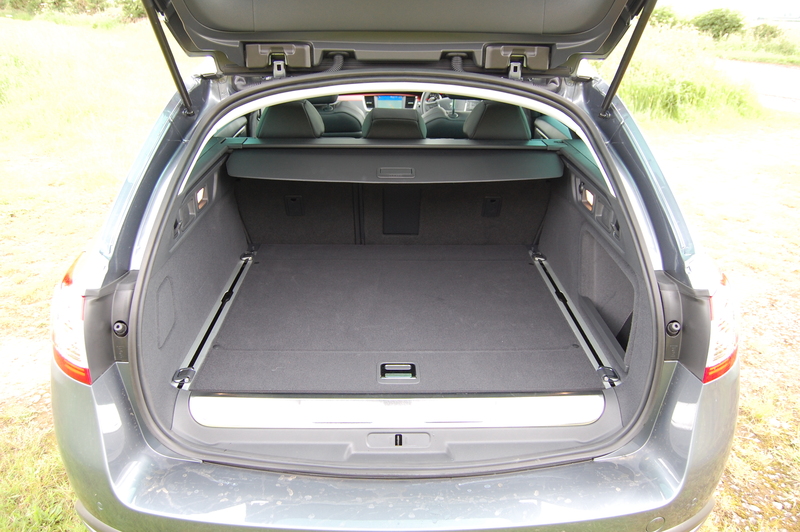 After all, the 508 SW range starts at under £18,500, offering the same build quality and a roomier boot to, er, boot. The biggest potential challenge for Peugeot’s marketeers is ensuring buyers understand that whilst this is a hybrid with a diesel engine, out and out economy isn’t its primary focus. Yes, the claimed average is relatively high but I was still 18mpg short after my week with it. That aside there’s a definite benefit to the lower running costs. The flipside of the coin is the 508’s pace, which’ll surprise the hybridphobic crowd. 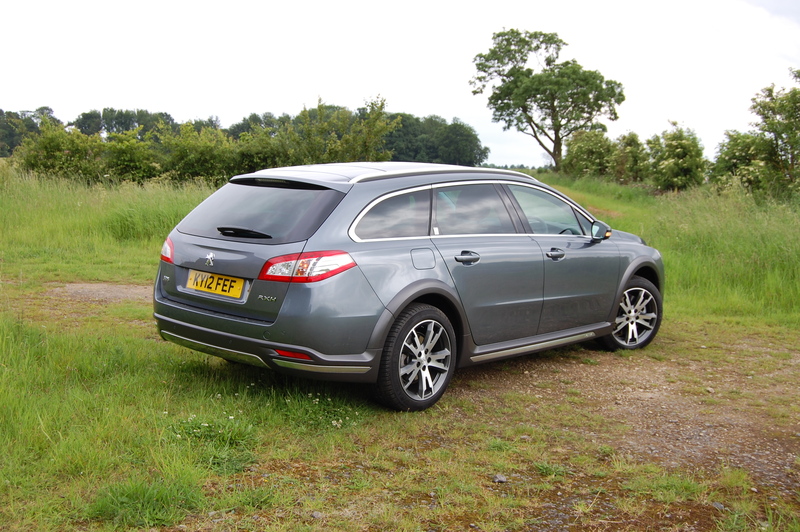 I can’t help but feel there’s a really good and intriguing car waiting to burst out of the Peugeot 508 RXH. Fitted with a proper automatic gearbox, a retuned ride for greater suppleness and greater focus on using electric propulsion to boost economy need to be priorities for a mid-life refresh. But for now, it’s likely to remain something of a curio. 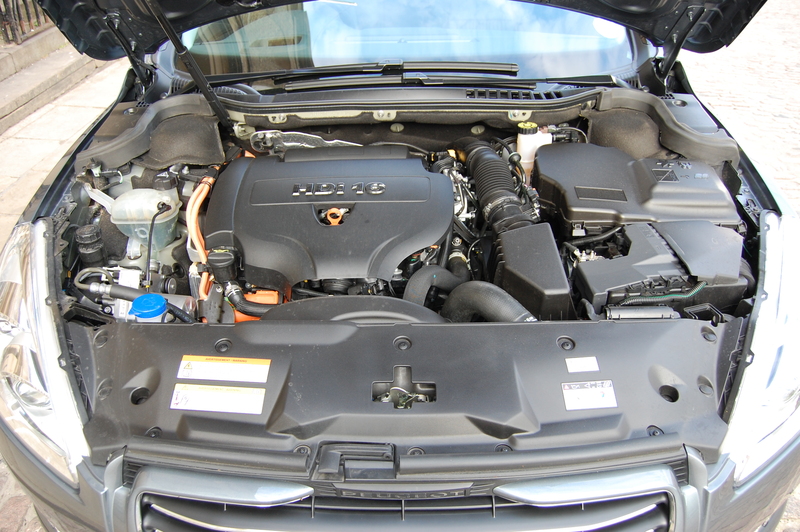 The regular diesel 508 SW range is less compromised and makes more sense. Thumbs Up: Looks, subtle SUV-makeover, quality, equipment count, EV potential, pace. Thumbs Down: Gearbox, ride quality, real world fuel economy not as impressive as hoped, pricey. Peugeot 508 RXH range comprises solely of the HYbrid4 200 EGC, costing £33,695.